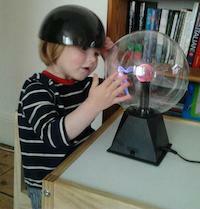 Baby Loves Science is a website that joins developmental psychologists and parents. If you are a researcher at a university and interested in running a survey-based study with us, please email enquiries@babylovesscience.com. Let us know details about what your survey is about, the age(s) you are looking to test, the number of participants needed, and if you are looking for any special groups (e.g., children with Down’s syndrome, bilingual children). We will give you an estimate of how long it will take to collect the data, and how much it will cost. If you are a researcher at a university and interested in collaborating with Dr Hoicka, please email elena.hoicka@bristol.ac.uk. Let us know which data you would like to use (see list below), what additional data you would like to collect (if applicable), and what you would like to do with the data (publish a paper, use data as pilot study for a grant). We will let you know if it is possible to collaborate, and if so, how much time it will take to collect the data. If you are a prospective PhD or MSc student who would like to work with Dr Hoicka at the University of Bristol, please contact her directly at elena.hoicka@bristol.ac.uk. Parents complete all of these surveys, so correlations between surveys is possible. Surveys are open to children of all backgrounds, so it is possible to look at children with atypical development; children from different countries and language backgrounds, SES, etc.